On January 22, 2018, I became an aunt for the first time to the most precious little boy. There's really no way to explain how it feels to hold your brand new, hour-old nephew for the first time, but I hope everyone gets to experience it at some point. There are a lot of debates in the zero-waste community about whether or not having a baby is truly "zero-waste" due to the impact population growth is having on our planet. You might choose not to have kids for this reason, choose to adopt, or to have kids of your own. For those of you who do choose to adopt or give birth, here are a few tips to help you remain on your zero-waste journey with a new little one. 1. Hand-Me-Downs: Having a baby is new and exciting, and it's a totally normal response to want to buy all the adorable little baby clothes/toys/accessories you see! It is common for new parents to purchase or receive brand new clothes and toys, and then donate them once they're outgrown. While that not only adds up in your bank account, it also creates a lot of unnecessary waste. Did you know that in the U.S., only 10% of donated clothes get resold? 12.8 million tons of clothing are sent to landfills in the U.S. every year. Now, many parents will keep their baby clothes and toys and pass them down from sibling to sibling, which is great. But how about single-child families? And what happens to the clothes when they no longer fit any children in the family. Does your baby really need all the latest styles when they're only going to fit for a few months before they're outgrown? Rather than asking for brand new items on your baby registry, ask for pre-owned items. These can be hand-me-downs from friends and family members, or items purchased from local thrift stores. Obviously there are going to be some things you'll want new, but most of your needs can be found secondhand! For those items you will be purchasing new, be sure to look for plastic-free items from sustainable companies. 2. Cloth Diapers: Did you know that an average baby will use between 6,500 and 10,000 diapers before they are potty trained? In the U.S., over 27.4 billion disposable diapers are thrown away every year! 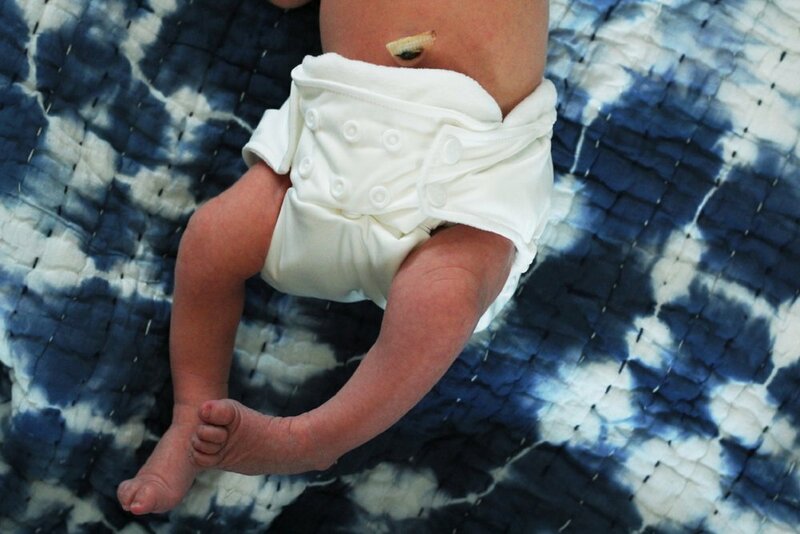 Cloth diapers get a bad rap for being "inconvenient" and "gross," but today's cloth diapering systems are easier than ever! You can choose your system (all-in-one, pocket diaper, diaper cover, inserts, etc.) based on your personal preference. It is best to try a few different styles when you're just getting started to see what works best for you and your partner. Be sure to use your cloth diapers with reusable cloth wipes. It is also helpful to have a couple wet bags on hand. We recommend keeping one larger one (or some sort of bucket/pail with a lid) in the nursery and a couple smaller ones in the diaper bag (one for dirty diapers and wipes and one for clean, pre-moistened, ready to use wipes). It is also incredibly helpful to install a handheld bidet attachment to your toilet. This way you can just spray off the poopy diapers into the toilet, and flush it down! 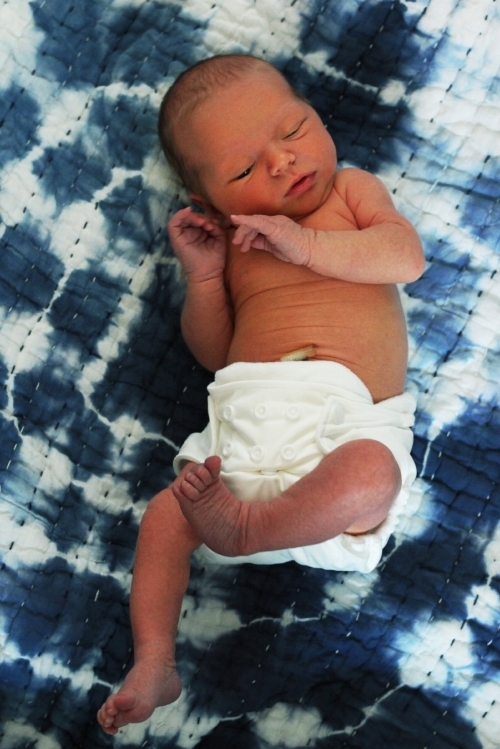 At Bring Your Own, we sell Thirsties brand cloth diapering system (found here), but we also encourage you to check out your local buy/sell Facebook groups and other local parent groups for secondhand cloth diapers. 3. Skip the Baby Food: As a new parent, convenience often wins above everything else, and today its easier than ever to find convenient, ready-to-eat baby food for all stages. From jars of baby food, to plastic pouches of fruits and veggies, and those little puffs and cereals, it's so easy to just "grab and go." Not only are many of these options full of preservatives and unhealthy for your baby, but they're often packaged as single-serve meals or snacks. This creates a lot of waste that is easily overlooked. As it turns out, your baby really doesn't need "baby food." This is a common misconception that baby food companies have really taken advantage of to increase their profits. Your baby gets everything he or she needs from breastfeeding (or a good quality organic formula if adopting or unable to breastfeed) until they reach a certain age. According to the World Health Organization (WHO), infants should start receiving solid foods in addition to breast milk at 6 months. Be sure to consult your physician before beginning solids. When you are ready to start feeding your baby solids, baby-led weaning* is a great method. In baby-led weaning, food is not given to the baby on a spoon. Instead, babies are encouraged to explore for themselves all the food that is offered to them, and to eat whatever they can get into their mouths independently. Your baby can explore the same foods you are eating for dinner, and this method eliminates the need for "baby food." Baby-led weaning should be complemented with breast milk until at least 12 months. If you do choose to transition to solids with "baby food," consider making your own at home in a blender! This way YOU control what goes in your baby's tummy, and you avoid the single-use disposable packages of store bought baby food. *If you are interested in baby-led weaning, please take time to research and consult your physician before starting. There are a ton of books, Facebook groups, and other resources available! Visit our website to get started on your zero-waste baby journey!